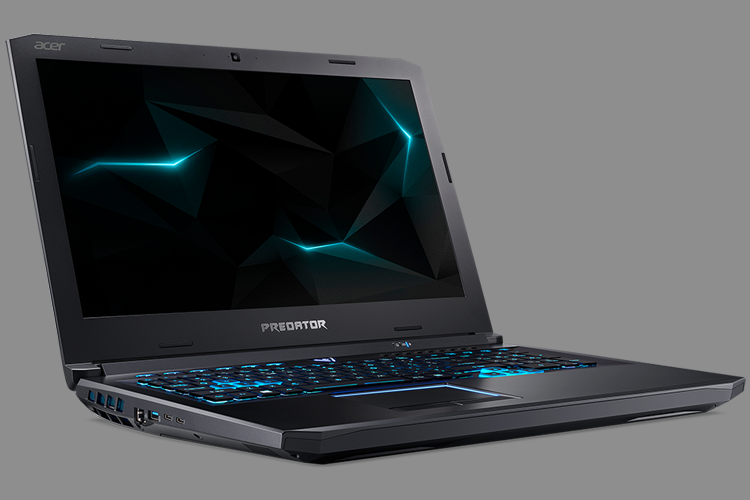 Acer unveiled a powerful new gaming notebook in its Predator Helios series at the ‘[email protected]’ event in New York. Like most other new gaming notebooks this quarter, the Predator Helios 500 features Intel Coffee Lake series CPUs. The Predator Helios 500 is equipped with a six-core, 12-thread Intel Core i9+ 8950HK overclockable CPU with 2.9 GHz base clock speeds and 4.8 GHz boost frequency, and up to 64 GB of RAM. In terms of display options, Acer offers a Full HD 1920×1080 pixel 144Hz panel with Gsync integration, which would be what most gamers would go for. Another option is a 4K (3840×2160) panel at 60 Hz, and 100 percent of the sRGB spectrum. The GPU is a powerful Nvidia GTX 1070 which is no slouch by any means, but a 1080 would have been icing on the cake, especially given the top-end CPU. In any case you can overclock the GPU too for added oomph. The Helios 500 employs Acer’s proprietary AeroBlade 3D metal fans for cooling along with five heat pipes for heat dissipation. The Helios 500 features Killer DoubleShot Pro networking for improved connectivity and reduced latency especially in online games that use a lot of bandwidth. Or you could hook up eGPUs thanks to the dual Thunderbolt 3 ports. That can also be used for external displays along with HDMI 2.0 which bring GSync support for external monitors too. 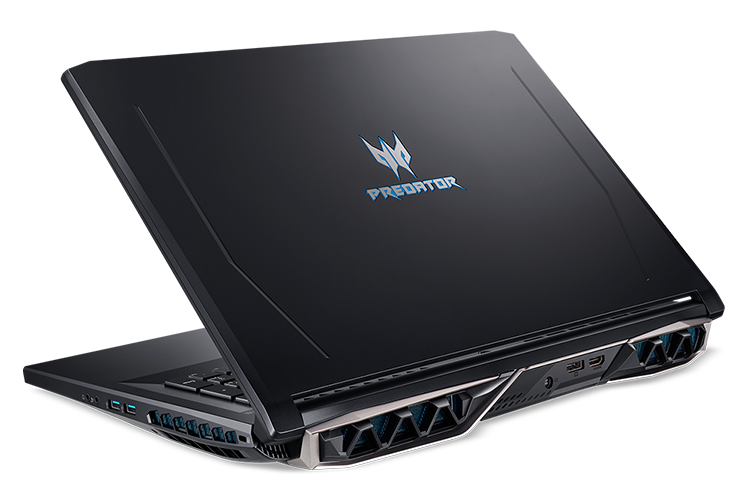 The Acer Predator Helios 500 is expected to release in mid-June at a retail price of $1,999 or around Rs 1,40,000.